Buying a home can, and should be, an exciting time. But the last thing you want is to move in then find yourself sneezing and wheezing constantly after a couple of weeks as the result of mould build-up which you didn’t know about. Here’s what you can do to avoid this potential issue before you spend a cent on buying a new home. When you are viewing a house, look for signs of water damage, like discolouration on the ceilings, walls or floors, warping damage to wood, or areas where water seems to be pooling. 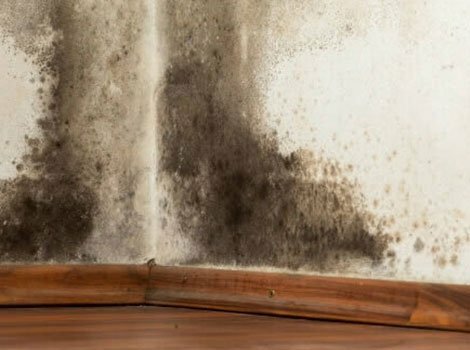 Mould can grow when moisture is not able to dry efficiently, and the problem only gets worse over time. Pay attention to any musty or sour smells as well, as these can indicate that mould is present. Get a sense of the general upkeep of the home, too; if the house does not seem like it has been well taken care of in other areas, this could signal that the home owner has ignored possible mould problems as well. The seller of the home may not necessarily be aware of a mould problem if he or she does not suffer from allergies or asthma, so it is not enough to simply ask about the presence of mould. Ask if any pipes have ever burst in the house or if any windows have leaked. Find out if the ventilation in the rooms and other sections in the building, including basement and subfloor space, is adequate. 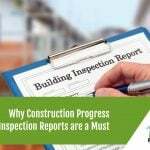 To really get an accurate picture of the condition of the property, hire a building inspector to look everything over. He or she will know what to look for and will examine areas of the home that you will not likely see, like the roof space, sub-floor space and foundations. However, Vital Building and Pest Inspections go one step further. Vital’s Principal Inspector Peter Ezeigwe has the experience and expertise to give you a thorough examination of the state of the property and thoroughly understands mould and its effects on people with allergies. We know the signs of mould infestation, beyond the readily visible ones, and we can offer you sound advice on whether it is a serious problem – and give you practical suggestions as to what you can do about it including how to remove the causes of dampness in and around the home. To learn more about our building and pest inspection services, call us at 0401 012 074, or fill out our contact form. For your peace of mind when you are looking at buying a new home, get in touch today.